Econ Fuels Monavalley Industrial Estate Tralee are now agents for a number of solid fuel boilers, this part of the business is now called Econ Boilers. I had a look some months ago at an insitu and working Cetik triple pass steel boiler which I found quite impressive in its efficiency and design. It is a semi-automatic multi-fuel boiler. It is quite a large piece of machinery and need to be housed in a garage or boiler-house. 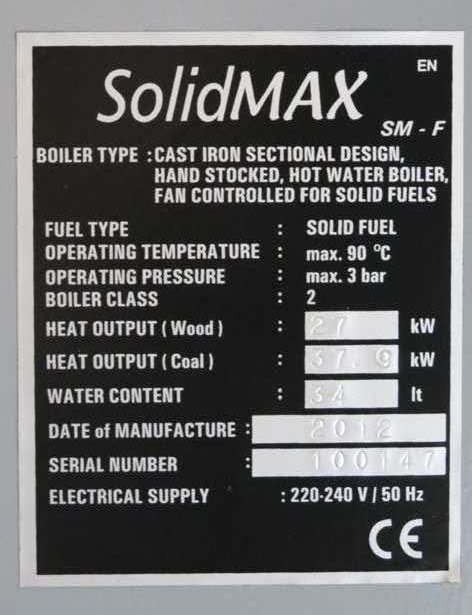 The latest addition to the Econ range is a cast iron sectional multi-fuel boiler called the SolidMax F. This is a much tidier size of boiler with the flue outlet in the more conventional position at the back of the unit. It therefore could be accommodated in tighter spaces in boiler houses and garages etc. The castings appear to be of good quality and it has a very heavy-duty cast grate - which can be simply and easily replaced when the time comes. 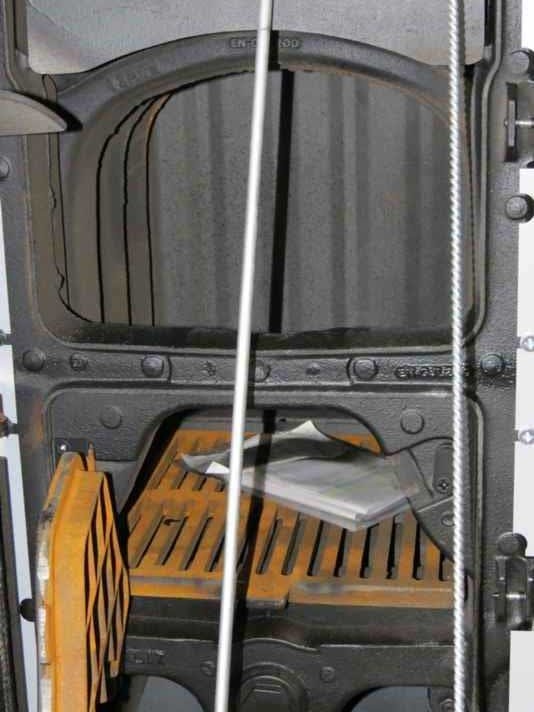 The boiler is made by Adarad in Turkey and that fact alone might suggest a better quality of metal and casting. 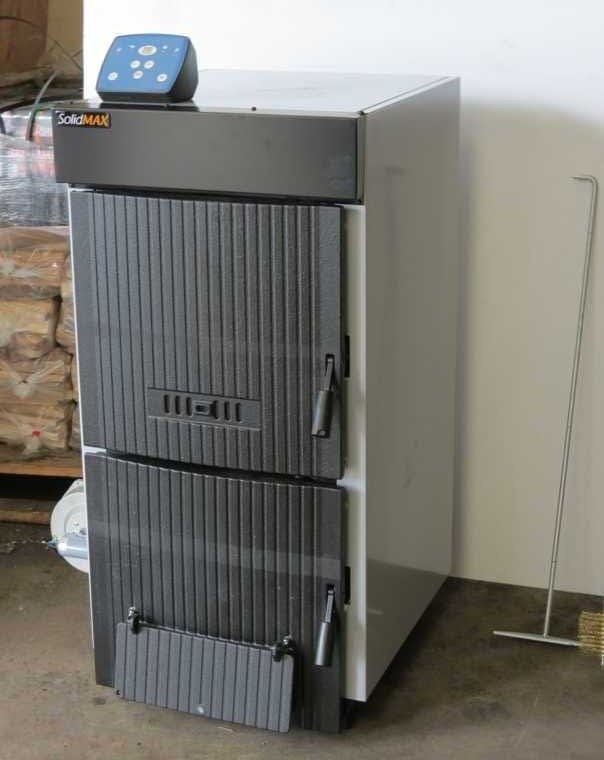 Price in approximately €1400, which is very reasonable for a 37Kw boiler. The rating of 37Kw max. 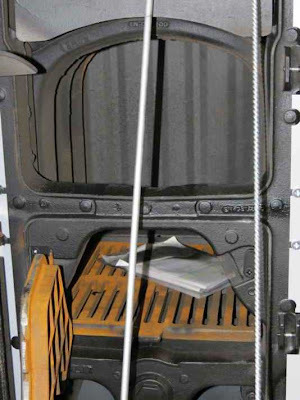 is given when using coal the output when firing kiln dried hard wood is 27Kw max. I'd be very interested in replacing our old oil boiler with one of these types. As you've looked at a few, would you be willing to comment on how they compare - even in general terms? Thanks for your ever-enjoyable blog. Which of the two boilers is best in your opinion? I've seen the two types fitted and the solidmaster is a lot smaller looking. The cetik looks more impressive but it is made of steel whereas the solidmaster is cast iron which would probably be better and longer lasting. Thanks for any advice you may be able to give.